Emeralds in antiquity have been mined in Egypt since 1500 BC, and India, and Austria since at least the 14th century AD. Colombia is by far the largest emerald producer in the world, accounting for 50-95% of world production, with amounts depending on the year, source and value. Emerald production in Colombia has increased dramatically in the last decade, increasing by 78% from 2000 to 2010. The three main emerald mining regions in Colombia are Muzo, Coscuez and Chivor. The emerald "trapiche" is found in Colombia, distinguished by dark fingers like dark dirt. Various amounts of iron will affect the color too. More iron atoms increase the bluish tone. Geological conditions in Colombia produce a rather bluish green color and strong saturation that makes the stone from that place a symbol of the variety. Emerald from the Muzo and Chivor mines in Colombia can be distinguished in general. Muzo materials are yellowish green, while those of Chivor are turquoise. (Sometimes it takes a trained eye to see the color difference, however). Zambia Emerald is the second largest producer in the world, with a deposit of Kafubu (Kagem Mines) around 45 km (28 miles) southwest of Kitwe responsible for 20% of the world's quality gemstone production in 2004. In the first half of 2011 the Kagem mine produced 3.74 tons of emerald. Emerald from Zambia can also display unusual blue tones, with blue / green green pleocroism, because of the high iron content (0.73%). Zambia crystals may be highly colored categorized, with a colorless core and dark green rim, almost like watermelon tourmaline. 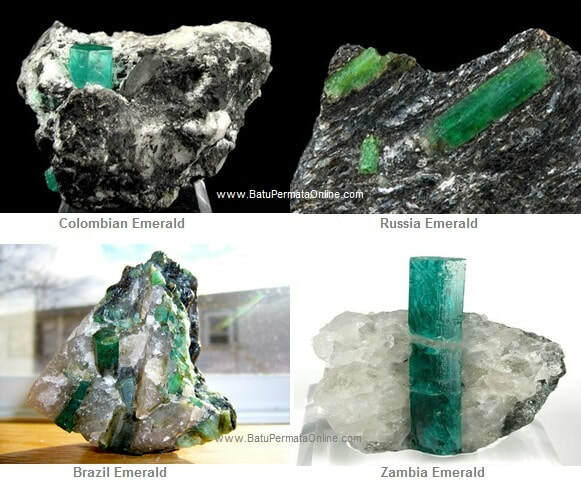 The world emerald mining center is in South America, with Colombia and Brazil as the main producers. The African mine that supplies Cleopatra's passion has long been played. However, currently the African continent is the second after South America to produce, with mining in Zambia, Zimbabwe, Madagascar and Nigeria. Each of these areas usually produces certain colors, sizes and clarity. The United States and Japan together buy more than 75% of the world's emerald. 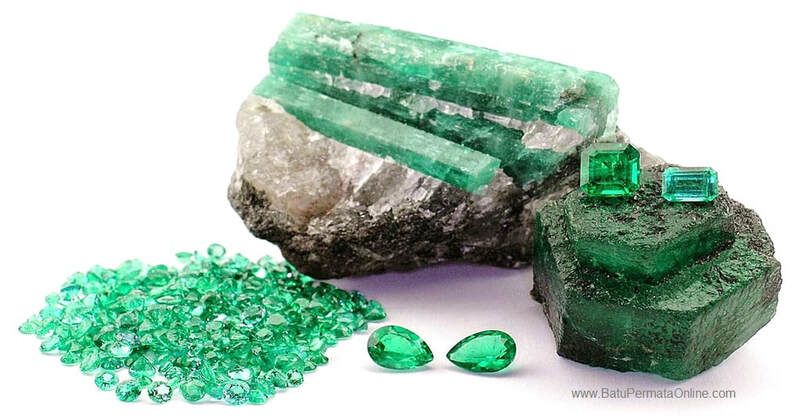 Emerald is found throughout the world in countries such as Afghanistan, Australia, Austria, Brazil, Bulgaria, Cambodia, Canada, China, Egypt, Ethiopia, France, Germany, India, Italy, Kazakhstan, Madagascar, Mozambique, Namibia, Nigeria, Norway, Pakistan, Russia, Somalia, South Africa, Spain, Switzerland, Tanzania, the United States, Zambia and Zimbabwe. In the US, emeralds have been found in Connecticut, Montana, Nevada, North Carolina, and South Carolina. In Canada, in 1997 the emerald was found in the Yukon.